One of the most commonly needed vitamin, available from Greeniche, in a convenient 1000IU dosage. 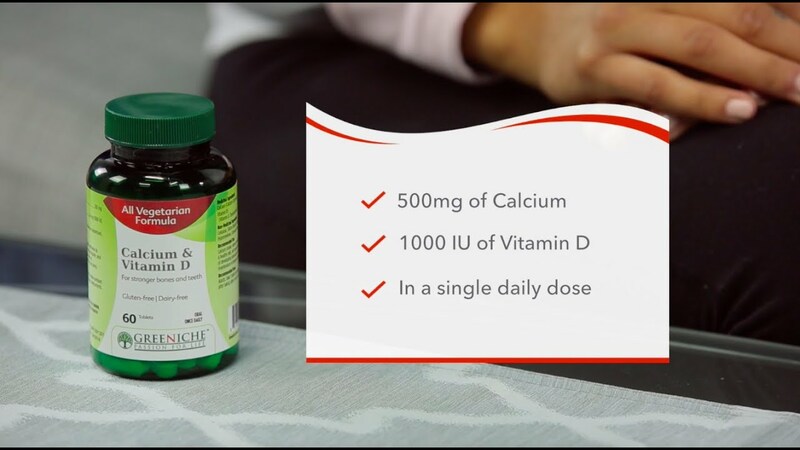 Whether it’s in combination with calcium or on its own, Vitamin-D is absolutely crucial for preventing osteoporosis and other musculoskeletal disorders. Greeniche Vegetarian Vitamin-D gives you 1,000IU in a single daily dose. May Reduce the risk of Osteoporosis; for Vitamin D deficiency. 1 tablet, once a day.